Email marketing can mean the difference between selling out a limited edition and not selling a single print. It can skyrocket sales of your originals and create loyal collectors over time. But what kinds of emails are you supposed to send? Long or short, packed with news or one topic, formal & professional or casual & friendly…? And when are you supposed to send them, what should they say, and how do you make them “convert” subscribers into customers? 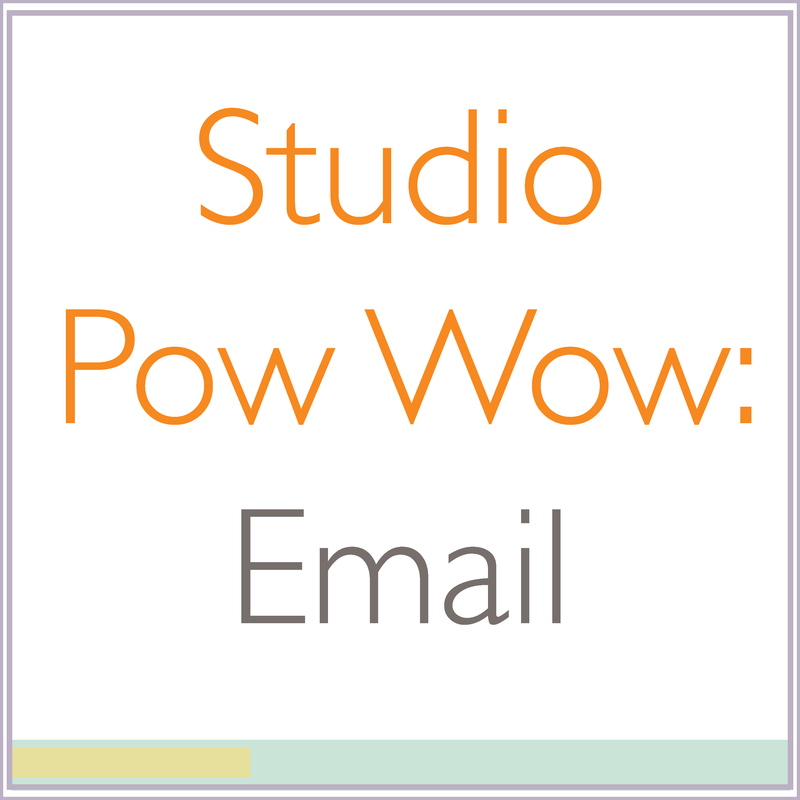 Join me for our second Studio Pow Wow session, all about using email to communicate with your fans and sell more art. 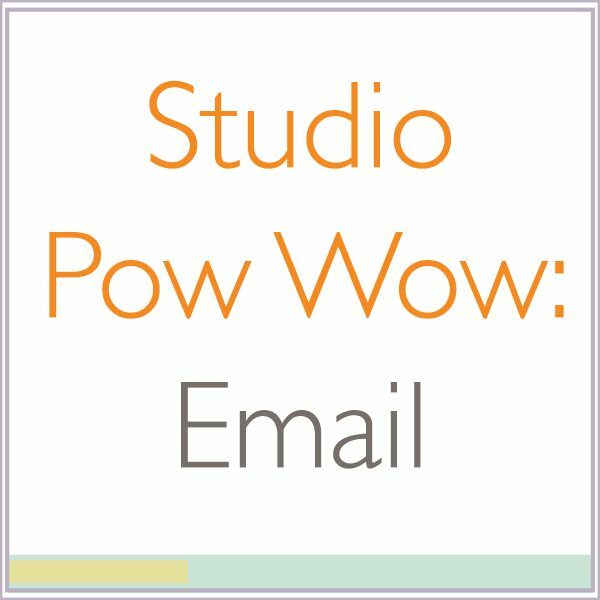 This Studio Pow Wow will be on Monday, July 30th at 1pm EST. There will be a recording if you can’t make it live, but being there live is definitely part of the fun. And there will be a couple worksheets and pauses in the learning to actually write some of your emails. We’ll hang out together while you ask questions, get my feedback on what you’ve written so far, and get crystal clear on your strategy. If there’s extra time after questions, I’ll go over what you’ve worked on during our Guided Implementation breaks and give you more time to implement. I’ll pack as much into the 3 hours as possible. 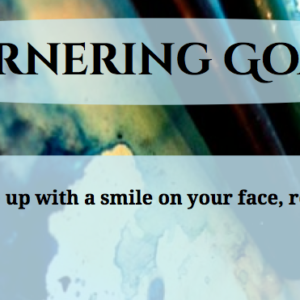 “Thanks again for the encouragement to send out my first newsletter! I’ve already gotten a 60% open rate and 14% click rate, yay! According to Mailchimp, the industry avg for artists is 23.5% open / 3.2% click.” – M.P. “I really enjoyed your first Studio Pow Wow although I had to step out when the Q&A part had started. So glad to have the recording! I absolutely love your enthusiasm and your energy! Please continue with offering us these great sessions with you!” – V.K. “I credit you as I continue to learn so much from your expertise! I’m looking forward to your new stuff coming as I always look forward to learning from you!” – C.C. I can’t wait to see you at the pow wow!